The colour is soft golden, the nose rather balanced and full of flower notes, rather light but still spicy. Some hints of wood and sweet rancio. The taste is presented in quite a full, smooth way, intense fruits. The finish is pretty solid. This 100% Grande Champagne blend contains cognacs from different distillers and growers from the Cognac region. The original strength of the blend is normally at 50% ABV, but it is brought down to 40% by adding older and thinner 15% Cognac ("vieilles faibles," very old, weak Grande Champagne) and one of the strengthes of Delamain cognac. Delamain Très Vénérable Grande Champagne Cognac is blended from different old Cognacs. The label design actually comes from a French Revolutionary bank note, the bottle was introduced in 1976. 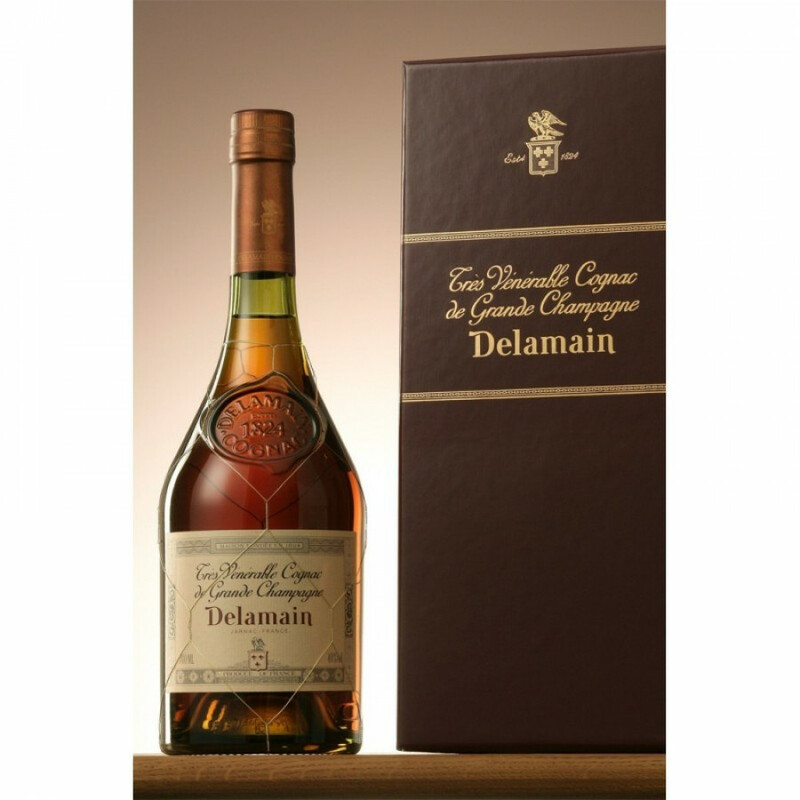 With an incredibly old family tradition, Delamain (et Cie) makes for an exciting cognac house with roots dating back to the early 1600s! The family tree couldn't be more complicated, and yet the Delamain brand has managed to survive since its creation in 1762. This is a cognac house that is unapologetic when it comes to quality, selecting only the very best from its suppliers in order to create its own products. With the British aristocracy having influenced the Delamains for generations, this cognac is authentically catered for blue blood! The colour: Amber and golden. The nose is strong, good woody notes and dry & sweet hints of rancio. The taste is full and round, very soft combined with a great deal of fruits. The colour is mahogany and rosewood. The nose offers aromas of of vanilla, dried fruit - and there's some woodiness in there too. The XO Pinar Del Rio should be consumed neat, while enjoying a good Havana cigar.